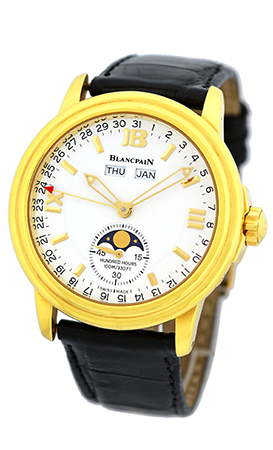 Gent's 18K Yellow Gold Blancpain "Leman Triple Date" Moon phase Strap watch. 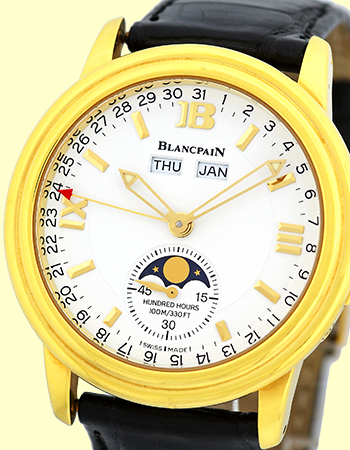 White Dial with Gold Batons & Roman Numerals, Subsidiary Second Hand, Day-Date-Month-Moon Phase Indicators, and Sapphire Crystal. 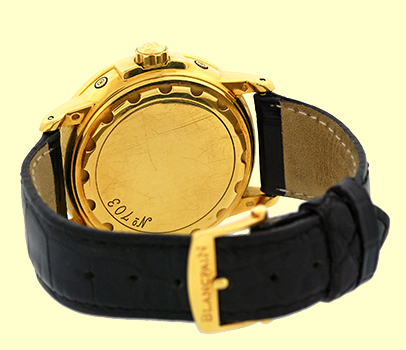 Highest Quality Black Blancpain Crocodile Strap with 18K Yellow Gold Blancpain Tang Buckle. 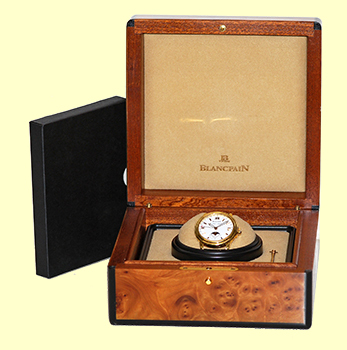 Pre-Owned, Like New Condition with Blancpain Box, Booklets, and complete with Capetown's Lifetime Warranty! !